History - A quaint little Texas town with a big Texas heart! Bellville was originally settled in 1822. We are proud to share our history with you. 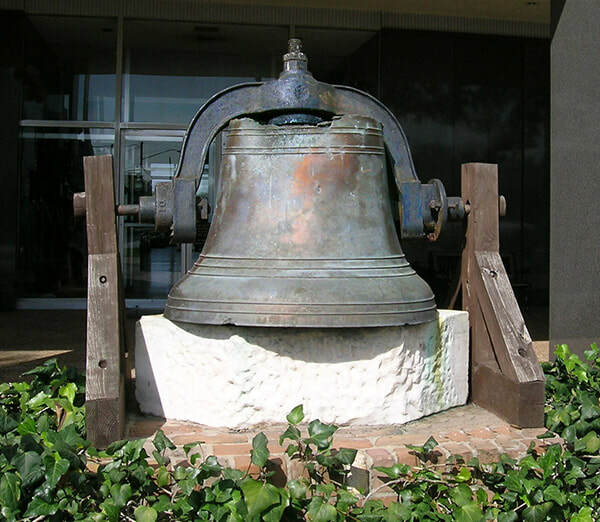 Bellville was named for brothers Thomas and James Bell, who immigrated from Florida in 1822 as some of Stephen F. Austin's earliest settlers. They donated over 145 acres to Austin County at this site for a new townsite to replace San Felipe as the county seat. The offer was accepted by voters in 1846 and the new town was platted in 1848, soon called Bellville by popular vote. 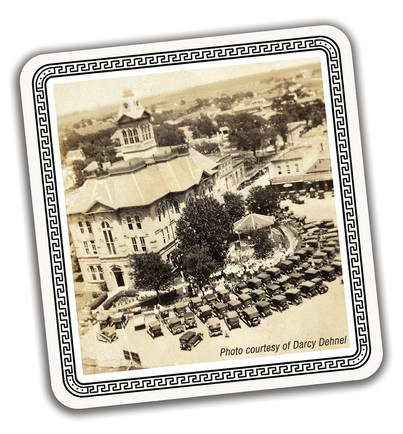 As Bellville would be the county seat, the district surveyor, Mr. D. Charles Amthor platted the town to center around the Courthouse and town square. Churches, a log cabin, and a wooden courthouse were the first public structures in town. The first hotel opened in 1849. Most of the residents were farmers, and the town grew slowly until the coming of the Santa Fe Railroad in 1880. This brought a rapid increase in population and business development. With the coming of the railroad, the population of Bellville rose from 300 people to 1,000 residents within three years. The railroad created a market outlet for cotton and other agricultural products, as well as providing transportation to Houston, Galveston, and other faraway places. Many large homes were built during this period, and commerce and government had its impact on the city. The Courthouse Square remains as it was laid out in 1846 and many of the historic buildings have now been transformed into a collection of unusual and unique shops and businesses. The many historical markers in the area chronicle incidents from the early days of Texas, both as a republic and later as a state. Noted with plaques are the original school sites in the county, over 170 cemetery locations (some on private property), the Austin County Jail as well as many buildings and homes located around the town square and in the residential districts. built in 1896, has been turned into a Museum. 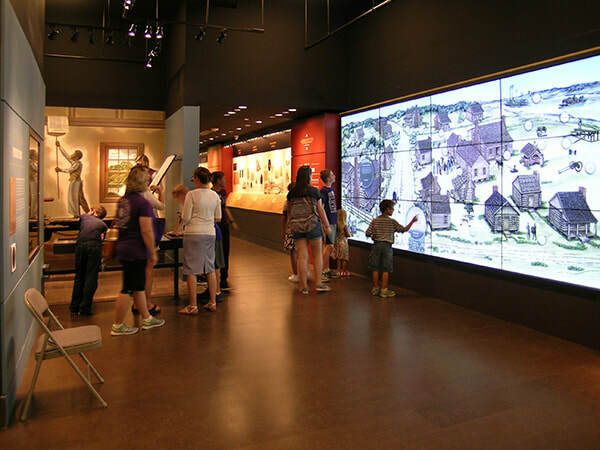 This historical landmark is a visitor’s treasure and the exhibits are fun & educational and an insight to some of Austin County’s early history. or by appointment 979-877-5642 or 979-877-8814.
at 36 S. Bell Street. 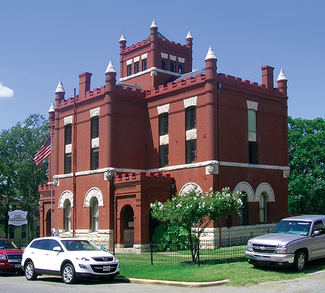 The previous Austin County Courthouse, built in 1854, stood proudly in the center of the downtown square, where it became the centerpiece of activity for the surrounding area. Unfortunately it was destroyed by fire in 1960, but the historic downtown square continues to draw people from afar with it's historic buildings housing unique shops that are sure to satisfy any shopper's curiosity. 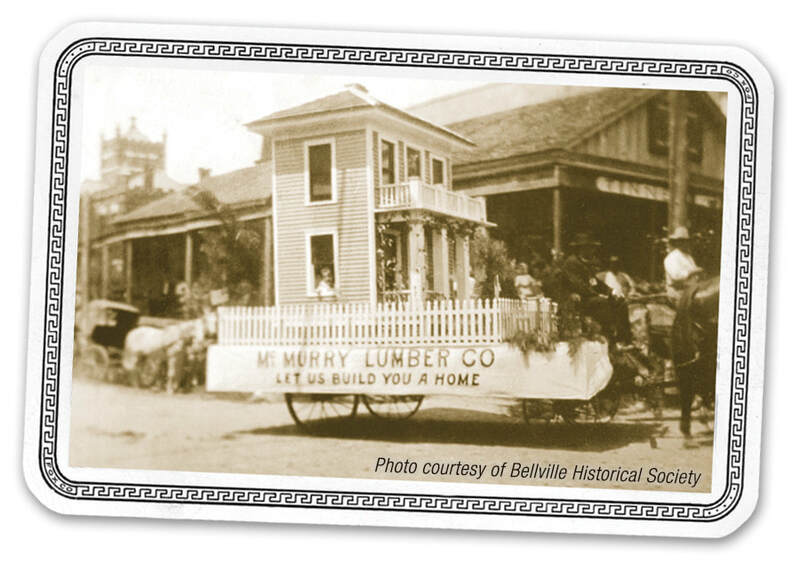 The Austin County Fair Parade has been one of those events that people flock to Bellville for, with the parade beginning around the historic square and following down South Main Street and up the hill to the fairgrounds and the historic Turnverein Pavilion, which was built in 1897 and still in use today. can still be found here today. historic buildings have been transformed into a wide variety of unique boutiques & shops. But people tend to move here for more than just the bulls, beer & BBQ. Plenty of local get togethers, shopping, parks, and more - all in a quiet, small town atmosphere. Who knows, some day your home could be right next to ours. Historic homes of varying architectural styles can be found throughout Bellville as well. the Colonial Capital of Texas. The Colonial Capital of Texas, where Texas got it's start. Learn about the early history of San Felipe at the San Felipe de Austin State Historic Site. The site preserves a portion of the townsite of San Felipe de Austin that served as the colonial capital of Texas. Visitors also explore the life of Stephen F. Austin, the "Father of Texas," and his impact on the settlement and independence of Texas. The visitors center is open daily from 9am to 5pm. If you happen to be visiting anywhere from the north or west of Bellville, you'll find it an easy drive through Bellville to get to San Felipe, which gives you a chance for a quick stop by our Stephen F. Austin bust on Hwy. 36 on the north side of town, and maybe take a selfie with the big guy himself. Visit The Colonial Capital of Texas website of the Friends of San Felipe de Austin for more detailed information about this very important historic site. And be sure to visit HistoricAustinCounty.com to find more fun & interesting things to do in Austin County! and used by permission, and all are protected by United States and international copyright laws. in any form except as permitted by law.